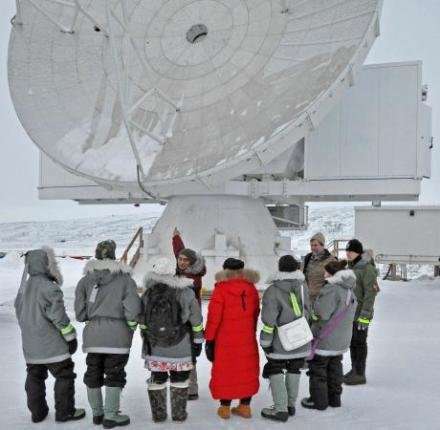 Greenland can now brag about hosting a large, operational radio telescope, with a dish measuring 12 metres in diameter. 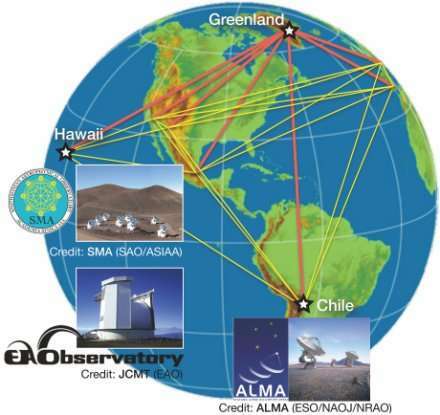 The Greenland Telescope was installed in 2017 and it is now a part of a global network of telescopes, including the large ALMA observatory (Atacama Large Millimeter/submillimeter Array) in Chile. 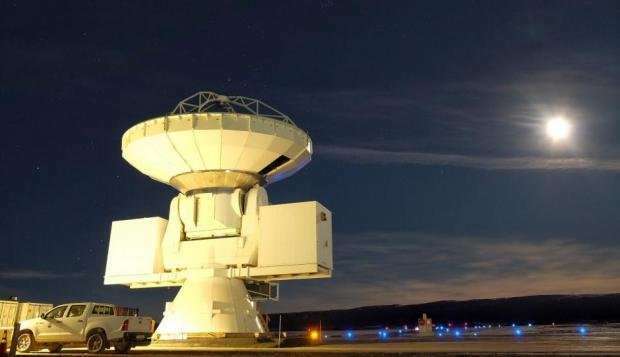 It is located on the northwest coast at the US Thule airbase, and is part of an ambitious project, the Event Horizon Telescope (EHT), to study black holes. Black holes are areas of space where the concentration of matter is so high that gravity is incredibly strong. So strong, in fact, that no light can escape when it ventures too close. The EHT project will generate images of two large black holes: One in the middle of our own galaxy, the Milky Way, and another, bigger black hole, in the centre of nearby galaxy M87. Other telescopes in Chile and Hawaii will point in the same direction, and data will be pooled from all of the telescopes in the EHT project to produce the images. "The EHT essentially turns the entire globe into one giant radio telescope, and the farther apart radio dishes in the array are, the sharper the images the EHT can make," says EHT project leader, Sheperd Doeleman from the Harvard-Smithsonian Center for Astrophysics, USA. "The Greenland Telescope will help us obtain the best possible image of a supermassive black hole outside our galaxy," he says. In fact, without the Greenland Telescope, astronomers would not be able to image the M87 galaxy black hole. Black holes are not easy to observe, as they do not shine. Instead, astronomers try to catch a glimpse of the shadow they cast, says Marianne Vestergaard, associate professor at the Niels Bohr Institute at the University of Copenhagen, Denmark. "We hope to see the shadow of the black hole. There will be a glow of light from gas and plasma around the black hole from material that is about to be engulfed. But since the black hole does not shine, its silhouette will appear dark surrounded by light," she says. Such an image would be excellent evidence for the existence of black holes, should anyone still be in doubt, which is unlikely after the gravitational waves caused by two merging black holes were detected in 2016. Scientists also want to study the jets of material ejected from the holes—the so-called radio-jets, says Vestergaard. For example, they would like to know how and where the jets are formed in relation to the black hole. Vestergaard studies black holes, but is not directly involved with the ETH project. The Greenland Telescope is now fully operational and collecting data, but there are plans to move it further inland, away from the relatively moist air on the coast, and up high on to the summit of the ice sheet where the air is drier. "Moving the telescope up to the ice sheet where it can be of most use, is absolutely desirable," says Vestergaard. "On top of the ice sheet, you are about three kilometres above sea level. The shorter distance the signal has to go through the atmosphere, the less it is absorbed," she says. The project has several years to run in order to collect enough data to create sharp images. But astronomers are already beginning to analyse the preliminary data, and it could be just a few months before they produce the first, albeit fuzzy, images of a black hole. This story is republished courtesy of ScienceNordic, the trusted source for English-language science news from the Nordic countries. Read the original story here. Here it comes: first images of a black hole. Or anyway its shadow.